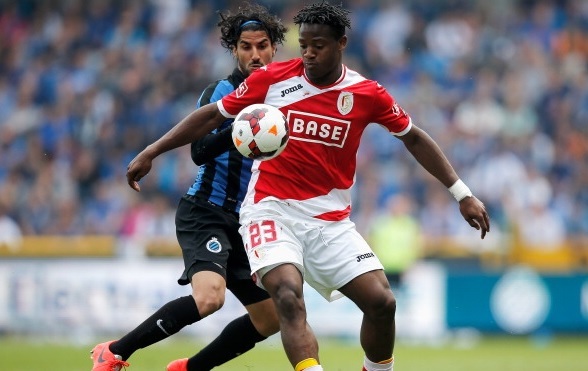 West Ham United have made a €35million offer for Marseille striker Michy Batshuayi, as per latest news from SkySports. The Hammers offer was around £28.25million earlier today but due to the Britain exit from the European Union, the pound value has decreased which has given a big blow to the English clubs. The Brexit would be a huge negative point for the Premier League sides as the value of foreigner players would be doubled. More Premier League Transfer News! Batshuayi who has been eyed by several top sides including Tottenham and Juventus is expected to leave the club this summer. The Belgian international is currently at the Euro 2016 in France. Belgium has qualified for the round of 16 by finishing second in the Group E.
Batshuayi netted 24 goals for French side Marseille in Ligue 1 last term. Despite of in strong links, the 22-year-old has no plans to sign any new deal during Euros. He told recently that he would not plan to move to a new club during Euros. He is focusing on Belgium’s victory. Batshuayi has helped Belgium with his two goals in five appearances in the qualifying round, however he has not featured in the Euro group games.